Strap yourself in for a thrill ride with When Shadows Fall! I have to say that When Shadows Fall is by far the best book in this series. I really felt like I found my niche with all of the characters. They were not just characters from a series but friends. The connection was the strongest it has been. Sam and Xander are a great couple together. I hope that one day they do get married. It would be nice to see Sam have her happy ending again with a family. This story was darker and twisted. There were about three storylines taking place in this book but all of them were intriguing. I was trying to figure out the connection with them all prior to the reveal but couldn't. Just as I would start to figure out an answer, Mrs. Ellison would put a new twist in and blow me for a loop. This book is a one sit read. I can't wait to read the next book and see what Mrs. Ellison has up her sleeves. 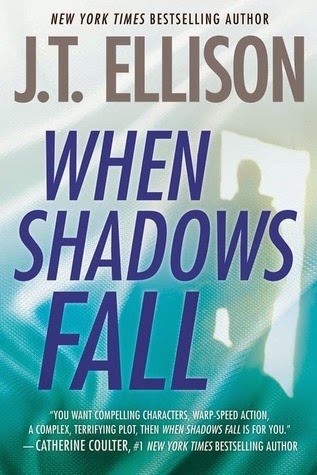 Strap yourself in for a thrill ride with When Shadows Fall!